The Middle East is already recognized as the the “hottest and driest” region on Earth by the World Bank. The Earth’s climate clock is ticking, as shown by the daily images, videos and research produced in the global North calling for immediate action against climate change. The Middle East is already recognized as the the “hottest and driest” region on Earth by the World Bank, as it warns that the effects of climate degradation are making things worse. Unprecedented extreme weather conditions have affected many countries in the region. Floods have killed 32 people in Jordan and destroyed 175 houses in Sudan, and in 2018 there was even snow in Saudi Arabia. The region is already coping with forced migration and conflict. Prolonged periods of drought, exacerbated water crises, heatwaves, changing patterns of rainfall and declining agricultural spaces, combined with population growth, will only lead to greater food insecurity, particularly in conflict-torn areas. One fifth of the population of the region’s countries in conflict, including Yemen, Iraq, Sudan, Palestine and Syria, already suffer from severe food insecurity. So how do the young people of the Middle East and North Africa (MENA) - where about 45% of the population is under 25, causing a “youth bulge” - connect with climate change, particularly as they will inherit the burden of climate reform? 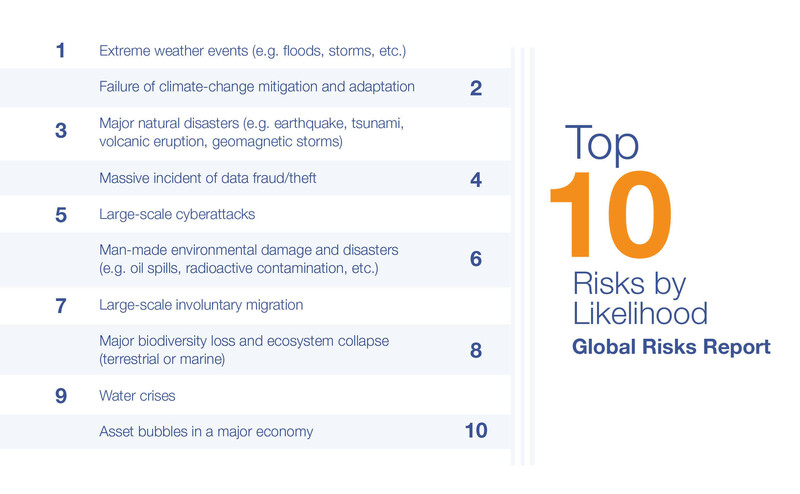 Many think of climate change as a subject far removed from their daily priorities. This is particularly the case for young people in vulnerable pockets of the region, who naturally prioritize income, employment and food security over conversations about the future of the planet. This powerlessness to entertain talk around climate change speaks to the privilege that so often plagues climate movements in the global North. That is, when young people in the MENA region lack the economic mobility and/or content specific to their experiences, wider discussions around climate change seem distant and lofty. In a region where youth unemployment surpasses that of other parts of the world, the youth perspective on climate change is best characterized by the words of high school students in Gaza, who say: “climate change is important, but it is hard for me to consider it a priority”. To build more effective climate movements, practitioners need to steer the conversation so that it speaks to the daily concerns of young people in the Middle East. They must ensure more spaces and content are curated to communicate the impacts of climate change on an immediate and local level, not just the global level. For example, a farmer would be more likely to engage in advocating for climate adaptation techniques when he can draw a connection between heatwaves, rainfall and a decline in his crop yield. The latter point around creating content and spaces to unpack the dangers of climate change speaks to the fact that much of the global research and convenings do not specifically link back to the Middle East. More local events and research findings could lead to a higher regard or appreciation for the conversation by the institutions that govern the region. This includes embedding greater emphasis on climate education in the schooling system, including how it will disproportionately impact women and minorities. In countries exhausted by conflict, the international community and INGOs can play an instrumental role in pushing for climate resilience. They can convene more regional gatherings to share and design frameworks for action, as well as offer spaces for young people from the region to build their skills and shape the regional agenda when it comes to climate change. It is worth noting that several spaces and movements have already cropped up, with the Arab Youth Climate Movement taking a notable lead. Over the last eight years, the movement has seen young people engaging with government to help enact climate adaptation policies and advocate for energy efficient solutions. The wins achieved by the movement show how far a well-coordinated and targeted climate movement can go, and they highlight the need to curate similar movements and communities. In doing so, youth efforts intended to influence policies, such as #FridaysForFuture, could find greater traction in the Middle East. So far, students from just three countries have taken part in this global student movement. Opening safe spaces for young people in the Middle East and North Africa so they can become an active part of the global youth campaign for action against climate change is more urgent than ever.